How to read multiple tables from .xls file in python? But I didn't get the expected cells from the First_Table. Am I doing something wrong with the ranges of the rows and columns? Does it have to be specified with the exact row and col indices or is there a more efficient and elegant way to do it? Use "usecols" argument to select the columns you want to read from excel file. Pandas will select the rows accordingly. Also you need to set index to False to avoid getting first column as index. The approach is right, however might be not optimal. You do not get the table right, because the indexes are incorrect - according to Your screen df1 = df.iloc[1:12,1:6] should do the job. default 0 Row (0-indexed) to use for the column labels of the parsed DataFrame. If a list of integers is passed those row positions will be combined into a MultiIndex. If string then indicates comma separated list of Excel column letters and column ranges (e.g. “A:E” or “A,C,E:F”). Ranges are inclusive of both sides. 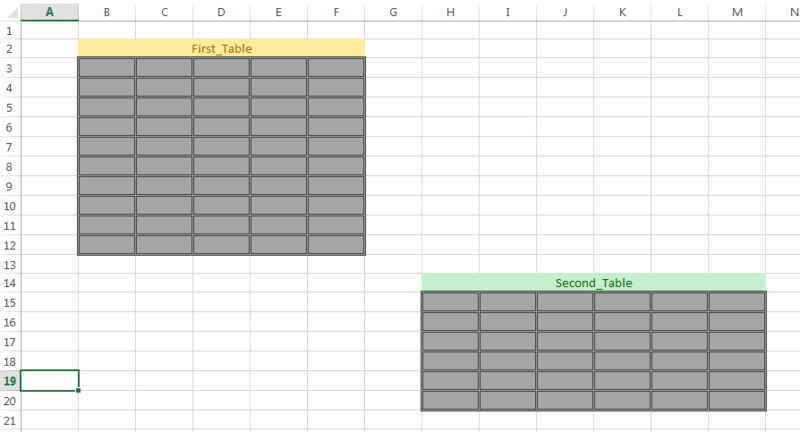 Also, there might be packages designed for reading multiple tables in one sheet, but I am not aware of any. pandas read_excel multiple tables on the same sheet - duplicate? Not the answer you're looking for? Browse other questions tagged python excel pandas xlrd or ask your own question.